News & Inspirations Listen Well. Serving your community isn’t the point. The point is a life transformed by God’s extravagant love and grace. While serving your community isn’t the point, we serve a God who uses it to shape and mold us more into the image of Christ. Since God desires to transform our lives through how we love our neighbors, let’s consider how to begin. Identifying the needs in your community is probably the best place to start. There are a variety of ways to go about discovering the needs of your community, but before heading out to do a community needs assessment, take a minute to consider your objective. Are you simply looking to meet needs in the community? Or, are you looking to become an intricate part of the community where you can enter into deep, ongoing, and authentic relationships with those in need? Embracing relationships is the ultimate goal of meeting the needs of the community; meeting needs is a platform for relationships. Vital to forming strong relationships is learning to speak and act in such a way that makes sense to those in your community. To do this requires plenty of listening and asking the right questions. Listening could look like speaking with key leaders from the community, making regular visits to local businesses, visiting the same park, or even interviewing long-standing residents of the community. However you do it, plan to do a lot of it so you have a thorough understanding of the community. As the common phrase goes, “We have two ears and one mouth so that we can listen twice as much as we speak.” Listen first, act second. 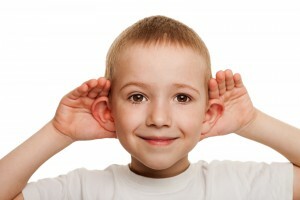 Bound up with listening is learning to ask the right questions, or learning to listen for the right things. What is the history of your community? Who are the heroes of your community? How does your culture view authority? What are the gods/idols in your community? There are more questions, but these are good place to start as you begin to learn about the needs in your community. They align you with the history and culture of the community where you seek to serve. These questions won’t produce a tidy action plan, but they will give you a robust understanding of the context and by doing so, will make your future plans more relevant and deeply connected with real needs. So, take a deep breath, and trust that God is already at work in your community meeting the needs of the broken, the widows, the orphans, and the foreigners. He invites you and I to first listen to Him, then to listen to the community, and finally, to be His hands and feet to a broken and hurting world.